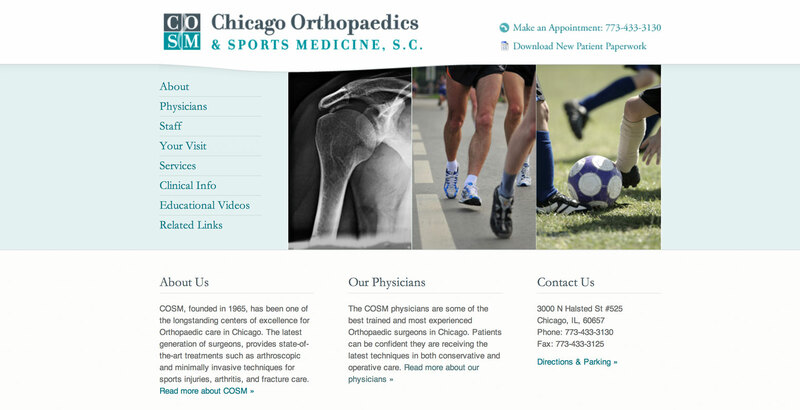 Chicago Orthopaedics & Sports Medicine, S.C. When a local sports medicine clinic approached me about a new logo and website, I brought in the expertise of graphic designer Lidia Varesco, who created a dynamic logo for the business. 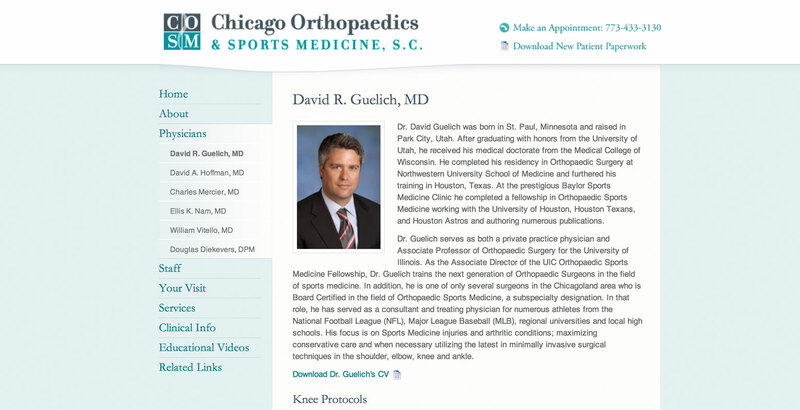 Building on that aesthetic, I created a clean, professional site that offers educational information for existing and prospective patients. Our practice was very pleased to find Megan. She came highly recommended and exceeded our expectations. 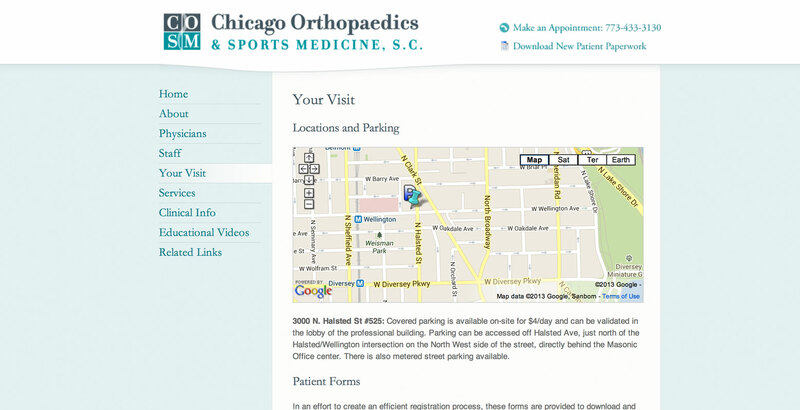 She was able to design a layout unique to our practice, visually pleasing, and easy to navigate. She remains committed to updating and revising content quickly and is very professional.